This isn't the first time that the Pope has reassured nursing mothers of the importance of feeding their babies...even in the Sistine Chapel. And while this statement may seem obvious, expected and logical to those of us who spend much of our time milling around in breastfeeding circles, the significance of this message shouldn't be overlooked. Because we live in a world where the breast is first and foremost sexual. We live in a world where artificial feeding is seen as more normal than the biological norm. A world where far too many of us feel a wave of panic, embarrassment and yes - even fear - at the thought of nursing our babies in public. These words of reassurance are a huge step forward in the normalization of breastfeeding. 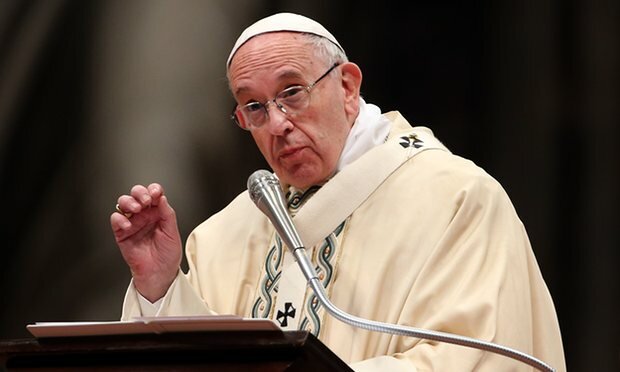 Without shame and without caveats, the Pope wasn't only encouraging the mothers attending yesterday's ceremony, but in fact, his words will also reach and empower breastfeeding mothers across the globe. Because surely, all mothers deserve to feed their babies "without fear".